People | Applied Research & Consulting LLC. 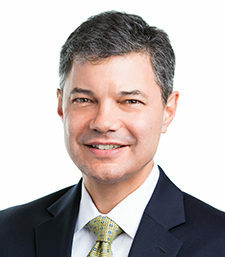 Christopher B. Bumcrot, one of the founders of ARC Research, is a strategic consultant and researcher focused on public policy, financial services, technology, and communications. Prior to founding ARC, Chris was an Executive Vice President of Robinson Lerer Sawyer Miller, a strategic communications consultancy. At RLSM, Chris managed relationships with some of the firm’s major corporate clients. He also served as EVP of the firm’s research subsidiary, KRC. In 1985, Chris founded Loan Pricing Corporation (LPC), a financial software and database publishing firm that specializes in helping commercial banks and other financial institutions manage loan portfolios and track pricing in the primary and secondary corporate lending markets. At LPC, Chris created and launched Gold Sheets, which continues to be the industry standard source of pricing data in the corporate loan market. LPC is now a subsidiary of Reuters Holdings PLC. Chris has a B.A. in Applied Mathematics from Yale University. He lives with his wife, Evie Gurney, and their two sons, Peter and Sam, in New York City. Andy Tuck, one of the founding partners of ARC Research, helps private and public sector decision makers understand a wide variety of management, branding, organizational, and strategic communication challenges. Prior to the founding of ARC, he held the positions of Managing Partner, Executive Vice President and Director of Strategic Planning for Bozell Worldwide, Managing Director for The Sawyer/Miller Group, and Associate Research Director for Young & Rubicam, NY. A former professor of philosophy and religion, he taught at several universities, including Princeton and Columbia. Educated at Amherst College, Harvard University, and Princeton University, he holds a doctorate from Princeton. He is the author of Comparative Philosophy and the Philosophy of Scholarship, published by Oxford University Press. In addition to his business and academic careers, Andy worked throughout the 70’s and 80’s as a professional jazz pianist and composer. He lives in New York City with his wife, Holly Fairbank, and their sons, Lucius and Jackson. 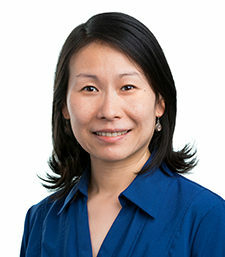 Judy Lin first joined ARC Research in the late 1990’s with an academic background in both social and clinical psychology from the doctoral program at New York University, where she taught classes on social psychology, research methods and statistics. Her areas of expertise, which combine the methodological and statistical training of a social sciences research doctorate with the interviewing and interpersonal training of a clinical discipline, provide a unique perspective on attitudes, behaviors and decision-making, which she has brought to bear in applied research and particularly in the use of sophisticated data analysis techniques. As a Director at ARC, much of Judy’s work involves translating nuanced, rich qualitative data into measurable and testable quantitative research. She has been engaged in a wide array of both qualitative and quantitative projects for a diverse set of clients, including AICPA, Ameritech, Cablevision, Cardinal Health, Channel One, The Chubb Group of Insurance Companies, Condé Nast, Conservation International, Disney, Feld Entertainment, FINRA, First Data, Food Lion, GlaxoSmithKline, the Howard Hughes Medical Institute, Jantzen, Liz Claiborne, Miller Beer, the National Association of Securities Dealers, Old Navy, Pharmacia, Sears, and Sesame Workshop. In addition, Judy has co-authored articles on marketing and advertising trends, and Internet and e-commerce trends for Advertising Age. Prior to her graduate work at NYU, Judy attended college at Yale, where she received a B.A. in psychology with distinction. 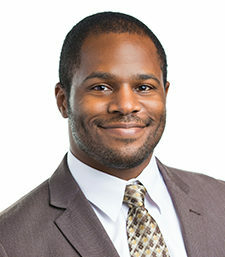 Kendrick Sadler is a Research Director at ARC Research whose work is often focused on quantitative and statistical analysis. Working with some of ARC’s largest clients, Kendrick manages large-scale tracking and brand positioning projects. Using information gathered through qualitative research, Kendrick designs, implements, and analyzes survey research, both online and telephone-based, using a wide range of advanced analytic tools to provide useful and actionable information and advice to clients. He also manages in-depth interview projects and is an accomplished focus group moderator. 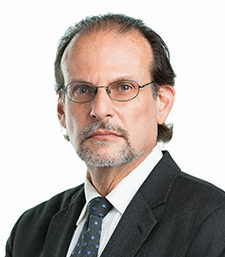 He has managed major projects for numerous clients, including the Federal Trade Commission, FINRA, beIN Sports, Dell, CFPB, AICPA and Council of Institutional Investors. Prior to joining ARC, Kendrick worked in a variety of related fields. He has experience in biotech, as co-founder and Director of Research and Development for Transvera Technologies. He has also worked in journalism, as a staff writer for the Nashville City Paper in Nashville, Tennessee. Kendrick graduated with a B.A. in physics from Harvard University, where he also did significant coursework in engineering, computer science and business. He wrestled competitively for the college and still wrestles in his free time. Tippy Ulicny is a Senior Research Associate at ARC Research whose work is primarily focused on data management and statistical analysis. 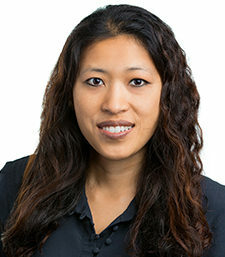 She has been involved in brand positioning, segmentation and large-scale tracking projects for clients that include AICPA, First Data, FTC, Qwest Communications, Cardinal Health, Condé Nast, the US Patent and Trademark Office and Jones Apparel Group. Previously, she worked for IPSOS as a Senior Project Director. Tippy received a B.A. from Barnard College and a Ph.D. from the City University of New York in Psychology. Her graduate work included teaching and research on gender differences in drug abuse, which led to several publications in scientific journals. Tippy lives on Long Island with her husband, Jim, and their two children.